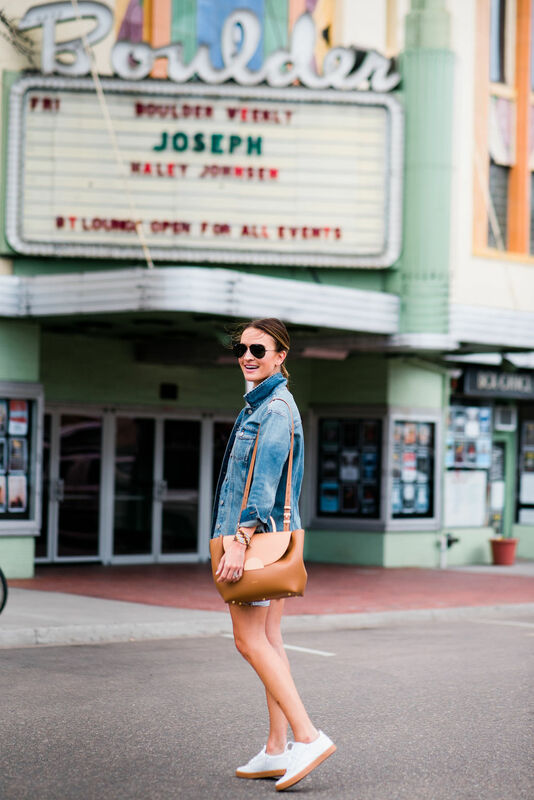 Last week on the blog I shared one of my go-to outfits for summer and today I’m excited to share another favorite outfit to hopefully give you some more outfit inspo for summer! I’ve always loved wearing casual dresses in the summer, especially in Texas when it’s a million degrees and pants feel like cruel and unusual punishment. 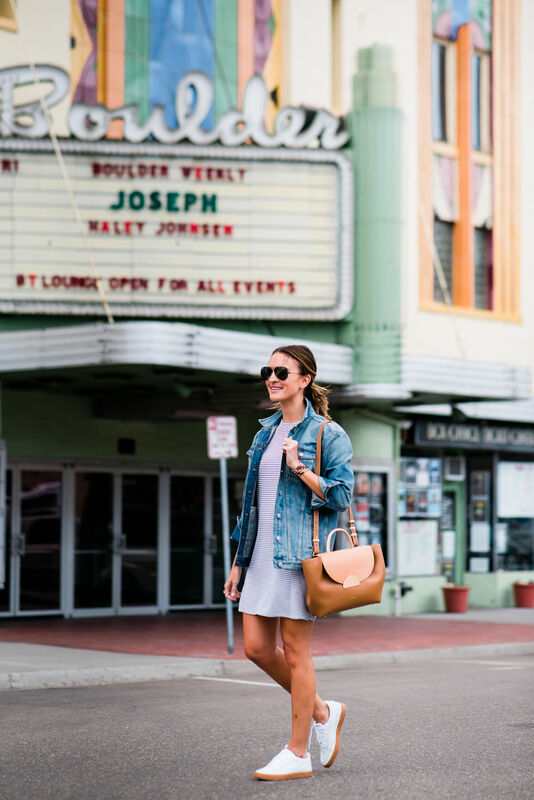 But as someone who travels a lot and loves to be comfortable, I’ve found that one of my absolute favorite combos for summer is a dress + sneakers! This an outfit that works for so many occasions and is really easy to incorporate into your everyday life, even if you don’t typically think of yourself as the dress wearing type! I feel like t-shirts dresses are such a great go-to for summer because they’re really easy to wear and they’re perfect for warmer days. I always love a striped dress (like this one!) because you can literally style it hundreds of ways! It’s a great basic with neutral colors and a flattering, ‘no fuss’ fit. I feel like any time you wear a dress, it looks like you kinda ‘tried’ but with a t-shirt dress, it’s SO insanely easy and effortless. You can just throw it on and walk out the door! I would wear this outfit to meet a girlfriend for coffee, grab a drink with Michael, or even just to run errands. Honestly, I feel like t-shirt dresses are as close as you can get to leaving the house in a nightgown or giant comfy shirt haha I love how simple they are! Another reason I love the t-shirt dress + sneakers combo is because of how comfortable and practical it is. 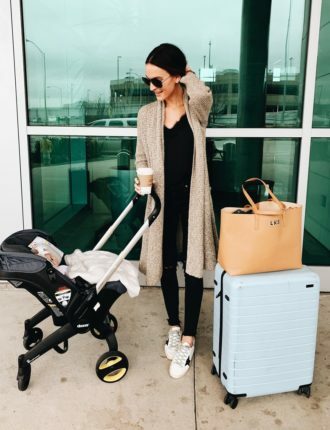 This is literally my favorite outfit for travel! 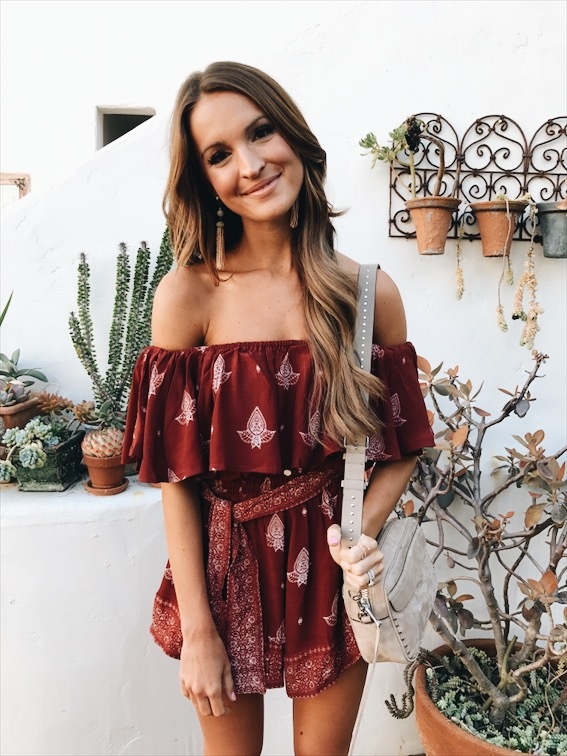 If you’re going on a trip that involves lots of walking or a day full of activities, this outfit is perfect for looking cute without sacrificing comfort. It’s great for the airport and plane too. A lot of times this will be the outfit I wear on the plane, along with a good denim jacket (like the one in these photos) in case I get cold on the plane. It’s perfect and SO easy! The sneakers in these photos are really comfortable and supportive, and they legit go with everything! You can wear them with pretty much any color or style. I’m really picky about what I put on my feet, especially for travel, and I love that I don’t have to worry about getting blisters or having any regret with these sneakers. Plus, they’re just such a fun look for summer! Y’all know I get tons of my hair products (including my dyson!) from eBay, and I actually have been finding more and more clothes + accessories there too! I got some of my more splurge-worthy handbags from eBay as y’all might remember, but literally everything in this post is a recent eBay find too! 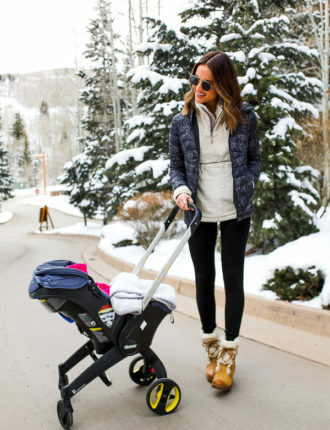 As a major homebody and mom to a 5 month old, I’m all about online shopping that’s easy – which is exactly what I’ve found with eBay. I think over 80% of the items on their site are ‘buy it now’ items (i.e. no bidding, you just instantly purchase!) and thanks to their Authenticate Program, you can be sure you’re buying from a legitimate source. Plus their stuff ships SO fast! I honestly think eBay is such a great option for so many different types of purchases and has easily become one of my go-to places to shop, especially when I’m looking for good deals. I’d love to hear about any of your eBay purchases too! I feel like there are so many hidden gems, so I definitely want to hear what y’all have found. 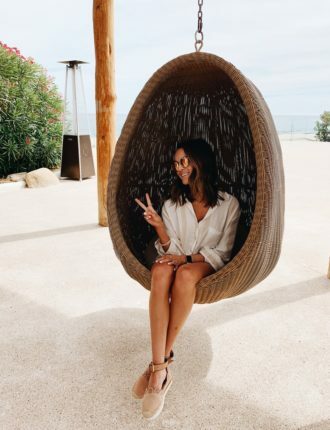 I hope today’s post was helpful as you start planning your summer outfits and figuring out what to wear for trips you may have coming up. I’m all about finding easy, everyday looks for y’all and the dress + sneakers combo is one of my favorites. Thanks so much for reading and have a great weekend! This post was created in collaboration with eBay. As always, all thoughts and opinions are my own! « vacation dresses under $100!